OpenFaaS is an independent project created by Alex Ellis which is now being built and shaped by a growing community of contributors. Project website and blog: openfaas.com. Get started with one of our deployment guides for Kubernetes or Docker Swarm. 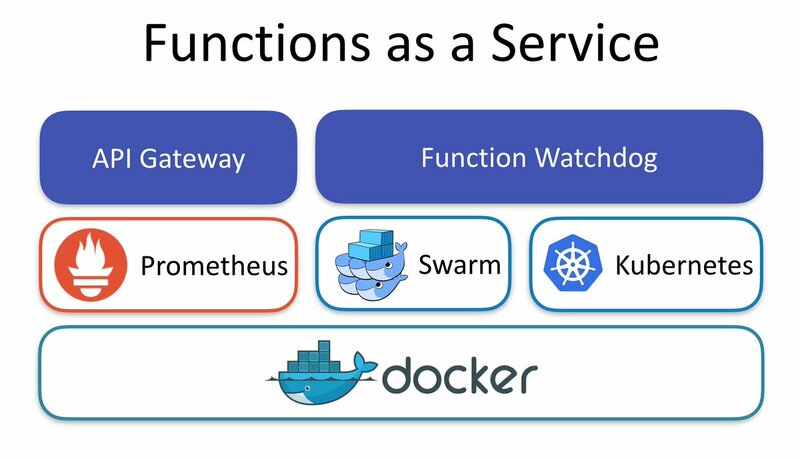 Functions as a Service or FaaS was a winner in the Cool Hacks contest for Dockercon 2017. If you'd like to find the functions I used in the demos head over to the faas-dockercon repository. OpenFaaS has a thriving community of Open Source contributors and users. Have you written a blog about OpenFaaS? Send a Pull Request to the community page below. 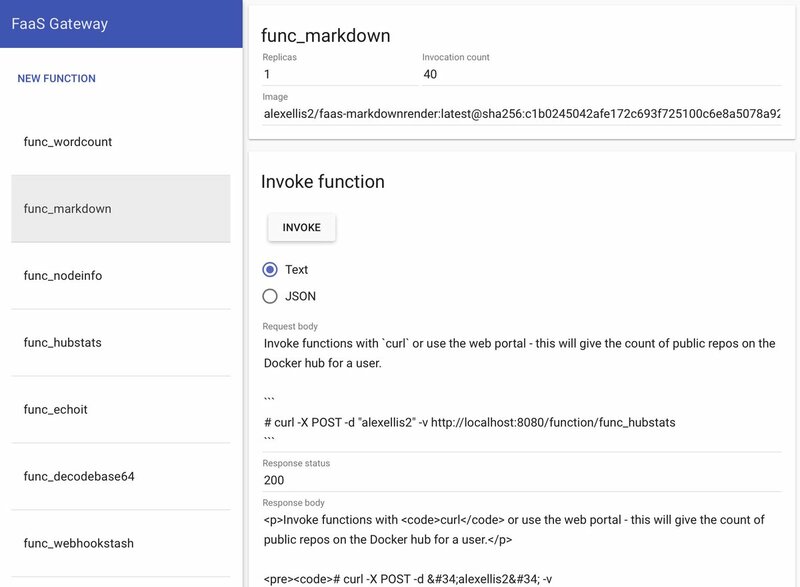 OpenFaaS is written in Golang and is MIT licensed - contributions are welcomed whether that means providing feedback, testing existing and new feature or hacking on the source. If you would like to contribute to the documentation site or find out more check out the docs repo.